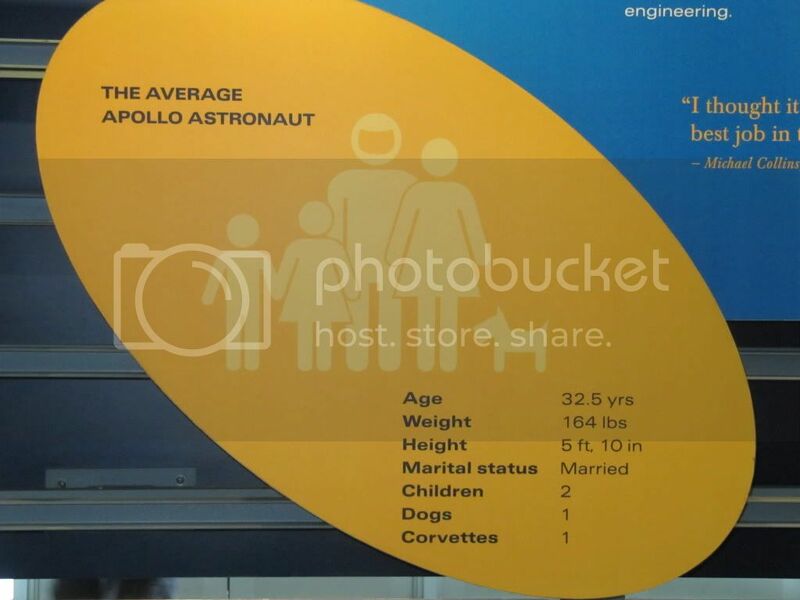 Thread: Are you the average Apollo astronaut? So how do/did you compare at age 32.5? Me? Weight was about a stone less (164lbs = 11.7 stone). Dogs? Check - two Rough Collies (Lassies). Corvettes? Check - a red '74 L82. So how did I fare? Guess I would have needed to put on few pounds and so long as my two Collies would count as kids (shouldn't have been a problem, after all, Lassie is an American institution), I'd be in! How about you? How close are/were you to fitting the bill? At 32.5 I was about 190, 74", unmarried, two dogs, no children and drove an M5. I don't think I would've been seriously considered, but I was having too much fun in the 160th to think about going anywhere else! Last edited by Nalu; 23-05-2010 at 15:28. 175 lb, 5'10", married, no kids, no dogs and driving a BMW 325is - now that was a fun car. So too fat, not into breeding kids or dogs enough, and too Germanic in my car tastes.